As the international body governing and setting the standards, the National Reining Horse Association (NRHA) has a vital role in the duty of care to the horses that are crucial to the sport of reining. As an organization, they have the power to set and influence the welfare and standards of the humane treatment of horses that is acceptable to the horse community at large. The NRHA state in writing they can only take action on what is written in the Rule Book (handbook). The 2016 Handbook cites the intent of welfare but is focused on medications only. It does not set out any standards in relation to training and unacceptable practices at events such as jerking reins, excessive spinning and spurring which occur in the warm-up pens as set by the AQHA . There are no statements for prohibited equipment outside the judging arena. The NRHA Professionals Code Of Ethics Program states it is governed, however, the NRHA Professionals state they do not govern any statements in the Code of Ethics, as they do not appear in the Rule Book. All protests are heard behind closed doors demanding confidentiality of outcomes. They are assumed to be being heard and judged by their peers and often friends. There is no result announced and no record available of penalties, reprimands or other actions to allow. The NRHA Must Change and Be Accountable and Transparent in relation to the welfare of reining horses and how trainers operate themselves as NRHA Professionals. The reining horse and horse community at large have growing concerns for the welfare of the reining horse. The welfare statements and actions of the NRHA are currently not curbing the problems beyond medication control. Their welfare statement is well below the standard of the respected American Quarter Horse Association. Horses are suffering through excessive spurring, rein jerking, spinning in warm-up pens; an example of what also occurs at home. The show managers, stewards, and marshals are ineffective as there are no constructive and definitive statements in the Rule Book to hold trainers and competitors to account. They goodwill gestures at best and often good friends of those that may well be crossing the line of acceptable animal welfare. November 14th, 2016: The awareness of this poll is now public and will be shared with tens of thousands of interested people showing a priority need for the NRHA for change. The Poll will remain live until acceptable improvements are made for reining horse welfare and trainers are accountable for their conduct. We have over 2000 votes already showing a desire from Reining Enthusiasts and NRHA members that change is wanted. The comments on our FaceBook page tell stories of why change is needed now. Click here to take the Poll for Change. Well that keeps it all a secret does it not? – click here for a redacted copy of a letter signed by the National Reining Horse Association. And the rules state you must pay $250.00 to file a complaint and you receive a letter saying that? The National Reining Horse Association (NRHA) is a not-for-profit association, with a member elect Board of Directors. 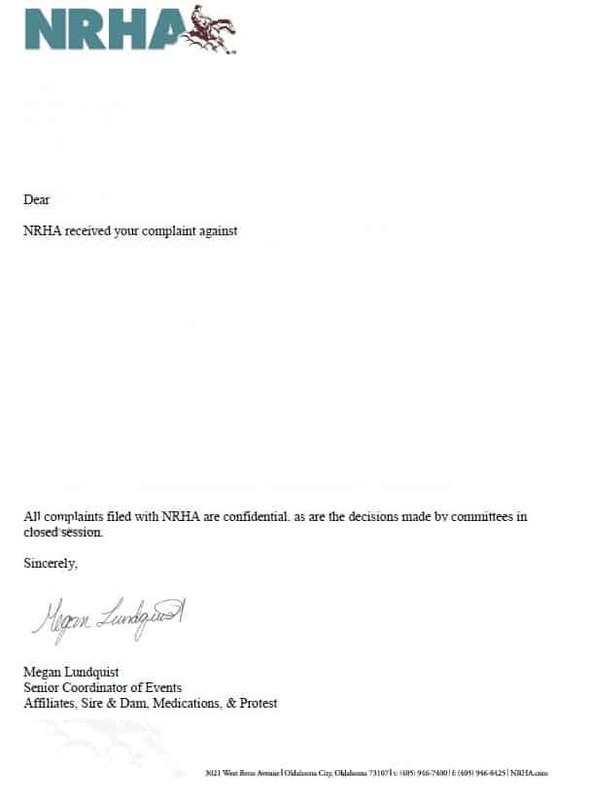 For many members they may not know this happens when one of their peers attempts to file a complaint with the NRHA; they receive that letter and the door seems to be slammed shut. The committees all meet in closed session from what we know at this time. So how do the names on the disciplinary list in the Reiner Magazine get there? If all complaints get that letter, as it states they do, then could this be a perceived gagging order on members? Sections of the membership are showing resounding silence across the globe when issues of abuse are raised. There are those that deny outright what goes on, those that indicate it is going on, and others that write about their experiences and what they have personally witnessed. Those speaking out often saying they are no longer members. Others saying they can speak now as they are no longer members. Are the responses of denial verging on a culture where avoiding exclusion from the sport at the expense of horses? Read our article on Who is Protecting Reining Horse Welfare and the public comments. There is some conjecture that if you lodge a complaint or speak poorly of the NRHA they will revoke or deny your membership as ‘a person not in good standing’. Seemingly they can revoke/not grant it without reason. If this is true, it could weigh heavily into the need for more transparency within the NRHA and its complaint handling procedures and membership rights. It is a not-for-profit membership and not a private company. Kit Cosper, former NRHA Board Member and an Executive Committee member, is currently testing that clause with legal action against the NRHA after his lifetime membership was cancelled. 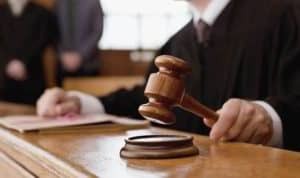 Click here to read the court document claim and click here to read the NRHA legal response to the claim. We do not wish to debate or comment on his individual claim and look forward to reading the court’s decision. We can say is that he is an active person in seeking transparency within the NRHA. These are public documents available through the courts. If the complaints are confidential as their letter states, then how do the names on the disciplinary list get there? From January 2011 to December 2016 – just 15 members globally had serious action taken against them (suspended/revoked) and just 11 placed on probation. We know two happened after the courts found them guilty of abuse; Arballo and Weston. One states unsportsmanlike conduct while the others remain a mystery as to why they are listed. There is conjecture that these people listed are used to show affirmative action is being taken to satisfy the public and those members who are less informed. We can all ponder how the NRHA are managing complaints but it would be best if you write to them and ask them to answer the questions, publicly? What exactly does that confidentiality statement mean to a member? Do you not get an answer to your complaint because its confidential? Are the results of a complaint kept secretive to everyone, including other members and the person/s you complained about? What happens if a complaint is a serious abuse issue and the filer feels it just been dropped into the abyss? Where is the proof that the complaint is handled if it’s all confidential? Are only complaints filed by show representatives heard and made public? The members own the NRHA and not the elected board members and staff ! How many complaints are actually received by the NRHA each year that are ‘locked under confidential’? How many complaints are found to be substantial and require disciplinary action but none is taken? What are abuse complaints measured against when the rule book dedicates just 4% of its welfare statement to animal abuse and the code of conduct is not enforced on trainers? If there was ever a catalyst for the need for transparency and a more independent complaint handling procedure, this would be most likely part of it. Have your opinion and vote on whether you believe changes are needed. Click here. http://www.reiningtrainers.com/wp-content/uploads/2016/12/secret-side-shot.jpg 602 307 Animal Welfare http://www.reiningtrainers.com/wp-content/uploads/2016/06/RT-LOGO2sml-300x174.png Animal Welfare2016-12-28 18:22:592017-01-15 04:17:48Is This a Reining Sport Secret? The issue of animal welfare is high on the agenda of competition associations as they work to clean up their public image to meet the modern day informed standards and social media scrutiny. Welfare statements and importantly their management can define an association in the eyes of the general public and those interested in sports. 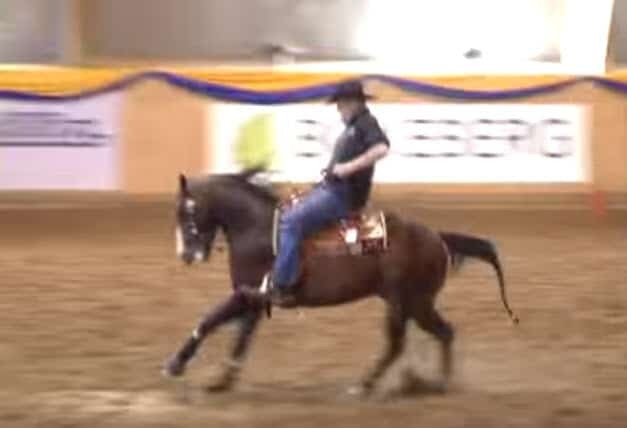 Some associations are pro-active and progressive whereas others, like the National Reining Horse Association (NRHA), are just failing to deliver in their rules. For many people, a horse show is a place where they see competition horses in the few minutes of showing under the judge. They see the big slides and fast spins and get enthralled in hype and entertainment; never seeing the alleged abuse that creates those circus tricks. With little access to the behind the scenes and the journey to the show ring, hiding the real experiences horses endure to become entertainment and instruments of success to the rider. During discussions on the management of horse abuse at National Cutting Horse Association (NCHA) official events, it became evident that this is an association evolving to meet the welfare demands of horses. The discussion raised some serious contrasts between NRHA and NCHA and being miles apart. On reading their respective current rule books, it became apparent that the NCHA write in a positive tone to ensure the improvement of their sport and image with precise definitions and responsibility. 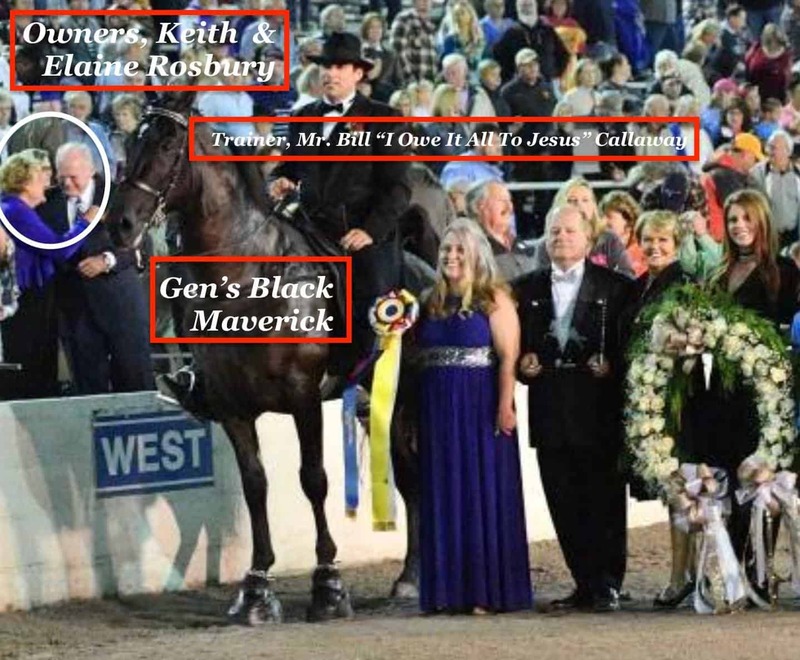 The NRHA seemingly reliant on vague statements fraught with gaps to protect trainers and their staff from conviction. 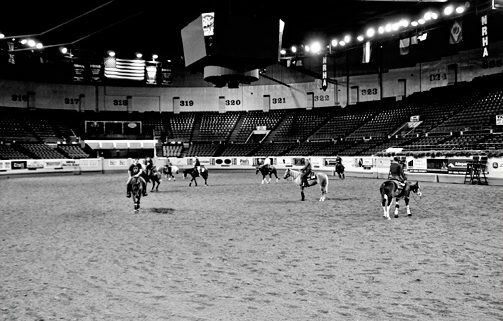 While both NCHA and NRHA rules state they apply to ‘the show arena or on the show grounds,’ the NRHA rules fall well short when set beside those of the NCHA. NRHA Rule Book states Section 3. Abuse. (1) No one shall abuse or mistreat any horse in any manner whatsoever on the show grounds. 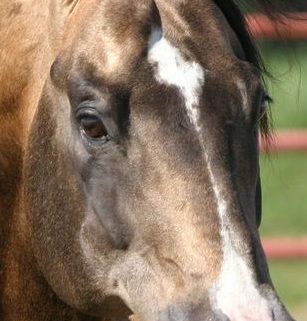 Abuse is defined as an action, or failure to act, which a reasonably prudent person, informed and experienced in the customs, accepted training techniques, and exhibition procedures, would determine to be cruel, abusive, inhumane, or detrimental to the horse’s health. (2) Individuals will be subject to the disciplinary procedures if it is determined that there was a willful abuse of the horse. There is a reporting process with a $250.00 fee attached and the said complaint, with all required evidence, is heard by the NRHA in their hearing process. That process to be reviewed at another time. The NRHA is using vague statements and has many loopholes that can be taken advantage of. What is a reasonably prudent person, informed and experienced in the customs, accepted training techniques? Based on personal observation and what is seen on video in warm-up pens posted on our website. 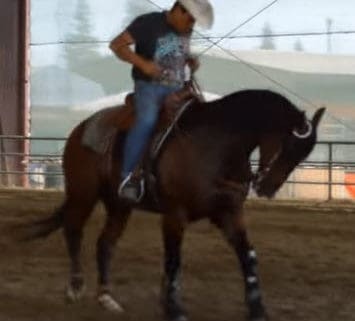 The excessive spurring, jerking reins with the full strength of the upper body of riders, continuous over bending, stopping and spinning starting or ending with the techniques above, then acceptable practices is an endless statement that embraces just about everything that otherwise is considered abuse outside of the reining culture. Any act which the general public would perceive to be a violation of 35b. This includes such acts occurring not only in the show arena but also those occurring anywhere on the show grounds–the warm-up area, practice pen or any other location. A. If show management or judge at any NCHA approved or sponsored event discovers inhumane treatment or abuse of a horse, they should immediately bar the responsible party and horse from further competition in the event and the judge will give a score of zero. They have a $50.00 fee for filing complaints post events. The NCHA take action, at the event, immediately banning the responsible party rather than waiting weeks or months. A strong message of non-acceptance. The NCHA apply a measure of accountability of any act the general public perceives as a violation. A transparent and accountable process, ensuring the welfare of horses. Abuse includes excessive jerking, cueing, whipping, slapping, use of lip wire or similar device, or any other act intended to cause trauma or injury to a horse. Any act of abuse, or intent to abuse a horse, in the show arena or on the show grounds which could also potentially endanger the safety of other persons or animals will be dealt with in the strongest possible manner. On attending both official events to see this first hand, the difference is apparent. The NCHA Show Manager is active in overseeing the warm-up pens and event walk-in, passing stern looks and guidance on what is not acceptable at the NCHA events. They are monitoring, better termed policing, with vigor to ensure the rules are abided to, and the welfare of horses is the highest priority through their actions. 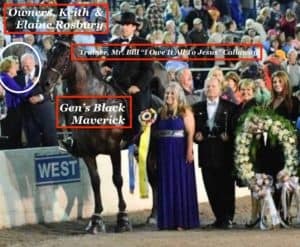 To the contrast at the NRHA event, the Show Manager was concerned with other duties of the show and animal welfare seemingly was low on the agenda as there were no active signs of policing or monitoring occurring. No rider was spoken to [disciplined] at the time of the incident to stop it, and there were many instances where intervention was required. The lack of documented abusive practices became apparent and reliance on vague statements being inadequate. When is the NRHA going to install rules that deliver immediate and measurable accountability to all those trainers, competitors, and their help teams? Why do they continue to rely on ambiguous statements that make defining abuse of a horse a near impossible task for any complainant? These are the questions that should be put to the NRHA. USEF Equestrian of the Year and double WEG gold medalist, Tom McCutcheon, prepares before winning the gold at the inaugural FEI World Reining Final in Malmö, Sweden in May 2011. On lookers were horrified at the training techniques applied to this horse and the video shows just why. In the frenzy to be a winnner of the event the horses welfare became irrelevant as he focuses on making the animal completely submit through repeatedly spurring, jerking on a spoon bit and applying pain and suffering that non-reining horse people had not ever witnessed before. The expression ‘willing guided’ taking on a new deplorable meaning. The NRHA continues to this day to hold Tom McCutcheon as one of the Top 20 Trainers in the world. A standard of horsemanship that many others would hold in contempt of their welfare statement. 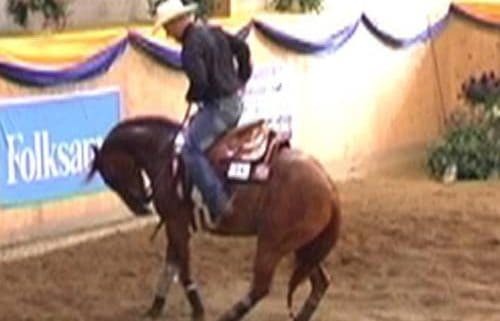 Click here to read what is considered as horse abuse, watch the video and you may to see the Reining Trainer Engima.